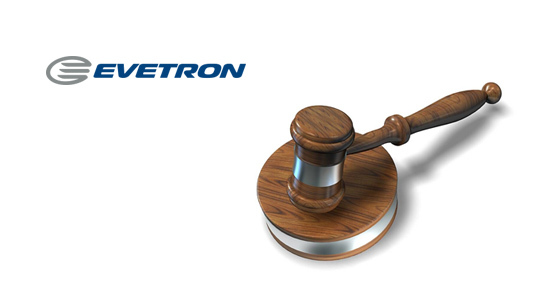 Evetron, LTD. does not give any warranty or other assurance as to the operation, quality or functionality of www.evetron.com. Access to this site may be interrupted, or delayed for any reason. Evetron does not give any assurance as to the content of the material appearing on www.evetron.com, its accuracy, completeness, or fitness for any particular purpose. To the full extent permissible by law Evetron disclaims all responsibility for any damages or losses (including, without limitation, financial loss, loss of profits or other consequential losses) arising in contract, or otherwise, from the use of or inability to use this site or any material appearing on this site or from any action or decision taken as a result of using www.evetron.com or any such material. Evetron is not responsible for and has no control over the content of any other website accessed by hypertext links through this site. Information on www.evetron.com, or information available via hypertext links from this site, is made available without responsibility on the part of Evetron. All content on this website is the copyright of Evetron. All rights reserved. Reproduction or incorporation of any of the contents of www.evetron.com is prohibited without the express permission of Evetron. All trademarks and trade names mentioned on this site are acknowledged to be the property of their respective owners.